All prices are in US$ unless specified otherwise. All dates are US release dates unless specified otherwise. Deviana Morris isn’t your average mercenary. She has plans. Big ones. And a ton of ambition. One of those is going to get her killed one day – but not just yet. Not when she just got a job on a tiny trade ship with a nasty reputation for surprises. The Glorious Fool isn’t misnamed: it likes to get into trouble. And with a reputation for bad luck that makes one year as security detail on this ship equal to five years everywhere else – Devi knows she’s found the perfect way to get the jump on the next part of her Plan. But the Fool doesn’t give up its secrets without a fight, and one year might be more than even Devi can handle. Why is the book on my list? Rachel is one of my favourite authors in fantasy right now. I’ve enjoyed her first two Eli Monpress novels, The Spirit Thief (review) and The Spirit Rebellion (review), quite a bit, since they are both refreshing, have cool protagonists and the magic is just… magical. All with a good healthy dose of humour thrown in. 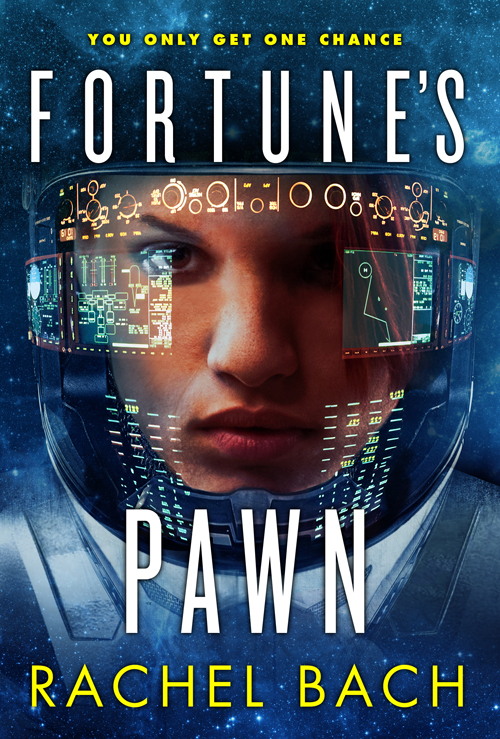 Fortune’s Pawn was already on my list of most anticipated novels to read this year (list here), and I’m absolutely stoked that the release date and the cover are finally out. If this book is anything like her other novels, then its going to be a really good read. And as for the cover, I love that cover. The focus on Devi is a bit too much I think, but the space opera feel is there in full and I love the scrolling symbol-text on the helmet. Great stuff! The kingdom of Carinthia is rich, powerful and undefeated. A thousand years ago, its ancestors were the spell-wielding northern tribes who crushed the Roman Empire. Their legendary hexmasters can destroy whole armies and turn battlefields into fiery lakes of lava. Magic is Carinthia’s wealth, protection and way of life. But the age of magic is dying. Some would do anything to see it return: any act, no matter how terrible, is justified, so long as the hexmasters can still protect their homeland. The kingdom is poised between order and chaos – and the smallest spark is the difference between disaster and triumph. 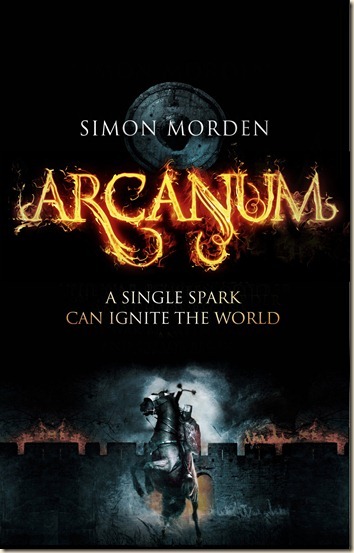 ARCANUM is powerful new epic fantasy from an award-winning author. Another case of an author I’ve read and enjoyed switching genres, the premise of the novel is really cool. It appears to be a new take on a classic plot element. Simon’s near future SF, Curve of the Earth (review), was quite a good novel, and I definitely enjoyed it a great deal, enough that I’ve been meaning to read the other books in that series. The cover itself has a really magic feel, which is as it should be. It evokes the core concept of the premise rather nicely. An award-winning and bestselling SF writer, Kim Stanley Robinson is widely acknowledged as one of the most exciting and visionary writers in the field. His latest novel, 2312, imagined how we would be living 300 years from now. Now, with his new novel, he turns from our future to our past – to the Palaeolithic era, and an extraordinary moment in humanity’s development. An emotionally powerful and richly detailed portrayal of life 30,000 years ago, it is a novel that will appeal both to his existing fans and a whole new mainstream readership. Like some of the other covers I’ve seen this year, this one too is hauntingly beautiful. The entire composition is just breathtaking, which is no doubt the exact reaction that is intended here. And that lens flare lends a rather authentic feel to the whole thing, setting up what is surely a big cinematic scene in the novel. I hope. I’ve been wanting to read some Kim Stanley Robinson for a while, but haven’t been able to get to it. So I’m hoping that I can turn that around with this novel. Xandra Vardan thought life would be simpler when she accepted the goblin crown and became their queen, but life has only become more complicated. The vampires, werewolves and humans all want the goblins on their side, because whoever has the goblins – wins. 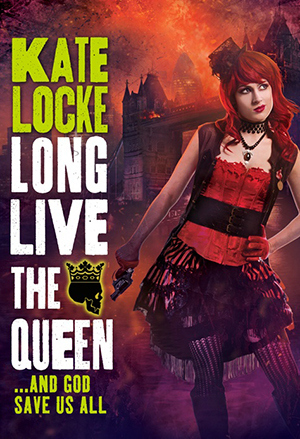 With human zealots intent on ridding the world of anyone with plagued blood and supernatural politics taking Britain to the verge of civil war, Xandra’s finding out that being queen isn’t all it’s cracked up to be, and if she doesn’t do something fast, hers will be the shortest reign in history. I came across the first novel in this series, God Save The Queen, last year and I’ve been rather enamoured of the cover ever since. The covers for all three novels in the series are just amazing and this one is no exception to that. These books are all on my looooonglist of books to read, mostly because I love the idea of vampires in Olde England. Very old school. The towering vertical city of Mahala is on the brink of war with its neighbouring countries. It might be his worst nightmare, but Rojan and the few remaining pain-mages have been drafted in to help. The city needs power in whatever form they can get it – and fast. With alchemists readying a prototype electricity generator, and factories producing guns faster than ever, the city’s best advantage is still the mages. Leading the alchemists is Rojan’s sister, with a risky plan to help tap the mages’ strength and overcome the armies marching towards them. With food in the city running out, and a battle approaching that no one is ready for, risky is the best they’ve got . . . I read the first novel in the series, Fade To Black (review), earlier this year and that novel proved that Francis is an author willing to take chances on a mix of genres and tropes, with an eye to building something new out of all of it. I’ll be reading the second novel Before The Fall quite soon and will be looking to get in a read of this one too before the year is out. Where the cover is concerned, I love the focus on the tower in the distance, how it is spotlighted with the colours in the background. Great job there. She spends her life trying to avoid ghosts, make it through school where she’s bullied by popular Justin and his cronies, keep her one remaining friend, and persuade her father that this is real and that she’s not going crazy. But then Justin is murdered and everything gets a whole lot worse. Justin doesn’t know who killed him, so there’s no obvious person for Taylor to go after. The clues she has lead her to the V Club, a vicious secret society at her school where no one is allowed to leave… and where Justin was dared to do the stunt which led to his death. Can she find out who was responsible for his murder before the Darkness comes for her? Can she put aside her hatred for her former bully to truly help him? And what happens if she starts to fall for him? Strange Chemistry has been putting out some great novels since they launched last year and I’m hoping that this one is no exception. The commonality of female protagonists across the novels, barring a few, is an interesting signature style and since I’ve enjoyed all the previous ones, I don’t see why Bryony’s novel should be any different. For the cover, I love the fact that the protagonist is not your typical white girl, and that this shows through. Too often I see cases where the characters of colour are whitewashed on the cover and this really disappoints me. Glad to see that’s not the case here. Another debut title from Strange Chemistry, my first attraction to the book is the cover. The particular choice of props is interesting, especially when considered in the context of the blurb. Then there’s the title itself, which is rather long, and makes me think that there just might be something special about the book. Which is all a great way to build interest. For fifteen-year-old Julie Richardson and the city’s resident protector from supernatural evil, the Left Hand Path doesn’t give a damn if you’ve found true love for the first time in your life. 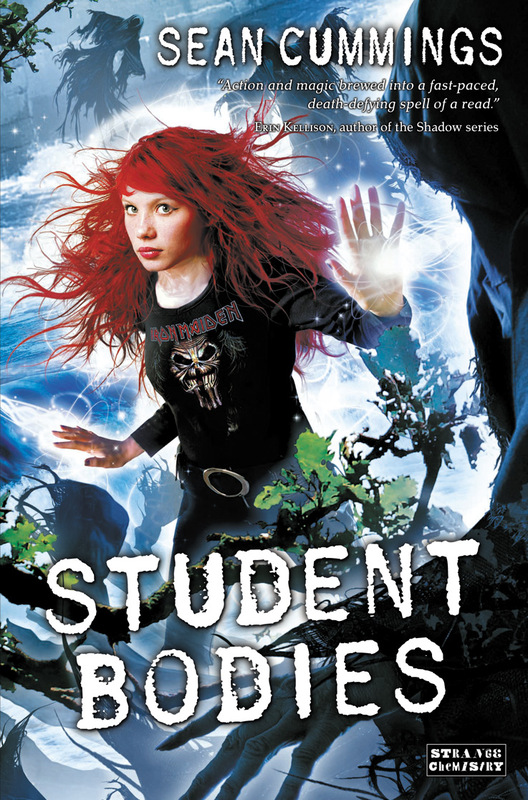 There’s someone lurking the halls of Crescent Ridge High School with enough malice to unleash an epidemic of Soul Worms – supernatural larvae that feed on the very fabric of a victim’s humanity. After witnessing the death of one of the most popular kids at school, Julie and über genius boyfriend Marcus find themselves in a race against time to find out who is behind the attacks. All the evidence points to a horrifying plot at the City Weir during the Winter Solstice; the place where icy waters of the Bow River and a thunderous spillway will mean the deaths of more than a hundred of Julie’s classmates. If she has any hope of saving their lives, she’ll need a little help from a coven of white witches and an Aboriginal mage whose snarky attitude is matched only by her magical prowess. I read the first novel in this series, Poltergeeks (review), last year and I was amazed by how good it was and how reminiscent of some classic examples of the same type of fiction in the genre it was. I’m hoping for more of the same from Sean and I have full trust in him to deliver. Julie seems rather wild and flustered on the cover, which is interesting, since the cover for the first novel showed her as rather… serene. That automatically draws me in. To some, Meg Banks’ life might look perfect – she lives in a huge house in West London, goes to a prestigious school, and has famous parents. Only Meg knows the truth: her tyrannical mother rules the house and her shallow friends can talk about nothing but boys and drinking. Meg’s only escape is her secret life as a graffiti artist. While out tagging one night, Meg witnesses the dying moments of a fox… a fox that shapeshifts into a man. As he dies, he gives Meg a beautiful and mysterious gemstone. It isn’t long before Meg realises that she’s also inherited his power to shift and finds an incredible new freedom in fox form. 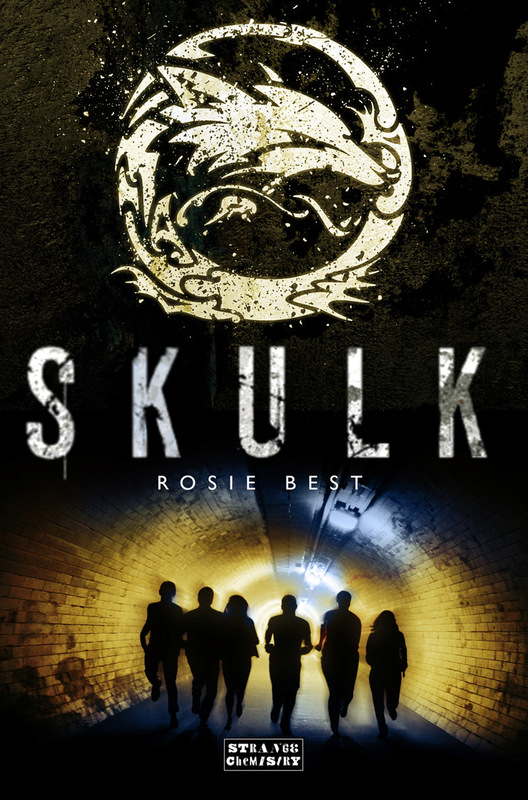 She is plunged into the shadowy underworld of London, the territory of the five warring groups of shapeshifters – the Skulk, the Rabble, the Conspiracy, the Horde, and the Cluster. Someone is after her gemstone, however, someone who can twist nature to his will. Meg must discover the secret of the stone and unite the shapeshifters before her dream of freedom turns into a nightmare. The biggest reason why I’m definitely, definitely reading this novel is because how reminiscent it is of K. A. Applegate’s Animorphs novels, particularly the first one, The Encounter. The only difference being that this is fantasy rather than a science fiction novel, and the man who gives the protagonist shapeshifting powers is a supernatural rather than an alien. Doesn’t stop me from wanting to read the book. And I love the simple composition of the cover, which reflects the premise so well, from the Ourobouros-y Fox symbol on the top to the graffiti gang on the bottom. 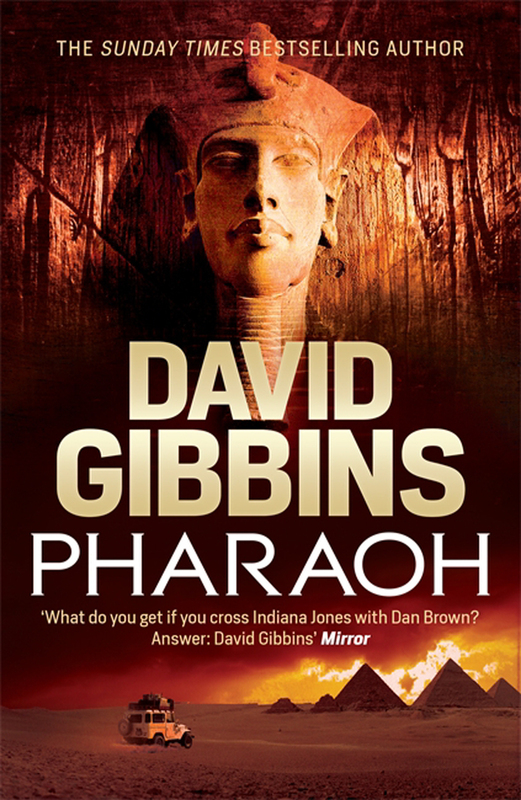 Howard’s search leads back through the ages to the discovery of the vault of Tutankhamun in 1922, the legacy of American adventurers in Egypt, the fate of General Gordon’s doomed garrison in Khartoum—and a long-shrouded catastrophe that saw a unit of Gordon’s would-be rescuers swallowed by a mysterious Nile whirlpool. Between the story told by a crazed survivor of that horror, a lost labyrinth, and the truth behind a three-thousand-year-old conflict, Howard is on the verge of a discovery that will change history—for good, for evil, and for the future of all humankind. I don’t read a lot of contemporary fiction, and so I’m quite picky about these kind of novels, but I have to say that something that is about the old civilisations always gets my interest. Especially if it has something to with the either Greek, Egyptian or Norse mythology. I’m always up for that kind of fiction. With Pharaoh, the cover was the first thing to catch my eye and then the premise sealed my interest, particularly since I’m a fan of the Mummy and the Indiana Jones movies. It’s kill or be killed in the space penitentiary that houses the galaxy’s worst criminals, where convicts face off in gladiatorial combat while an underworld gambling empire reaps the profits of the illicit blood sport. But the newest contender in this savage arena, as demonic to behold as he is deadly to challenge, is fighting for more than just survival. His do-or-die mission, for the dark masters he serves, is to capture the ultimate weapon: an object capable of obliterating the Jedi and conquering the galaxy. Sith lords Darth Plagueis and Darth Sidious are determined to possess the prize. And one of the power-hungry duo has his own treacherous plans for it. But first, their fearsome apprentice must take on a bloodthirsty prison warden, a cannibal gang, cutthroat crime lord Jabba the Hutt, and an unspeakable alien horror. No one else could brave such a gauntlet of death and live. But no one else is the dreaded dark-side disciple known as Darth Maul. Michael Reeves’ Darth Maul: Shadow Hunter and James Luceno’s Darth Maul: Saboteur are two of my favourite Star Wars prequel novels to date. I love Darth Maul’s character and more than either Count Dooku or Palpatine, he’s been my favourite Sith for like forever. 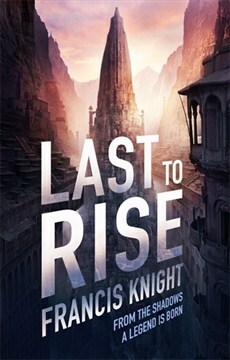 So its great to see that there’s a new novel with him coming out and I love that cover too. 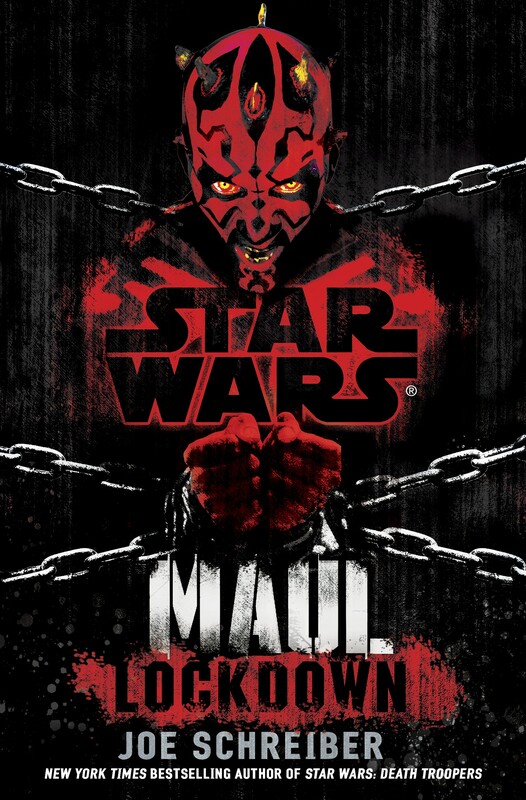 Things certainly look grim right off the bat for whoever dared to put Maul in chains. Its not going to end well at all. Sixteen teenagers taken from their homes. Eleven bodies recovered, each completely drained of blood. Some believe vampires are responsible. Jon Barnett knows that what’s happening is far worse. Sent by a group of paranormal investigators known as the Damask Circle, Jon quickly becomes enmeshed in a web of black magic and realizes he needs help. But fate gives him only one choice. Madeline Smith has retreated to an isolated farmhouse, afraid of the abilities she cannot control—abilities that have killed. But when a “ghost” brings a warning of danger and her nephew goes missing, Maddie not only has to leave her haven, she has to place her trust in a man who is neither ghost nor human. 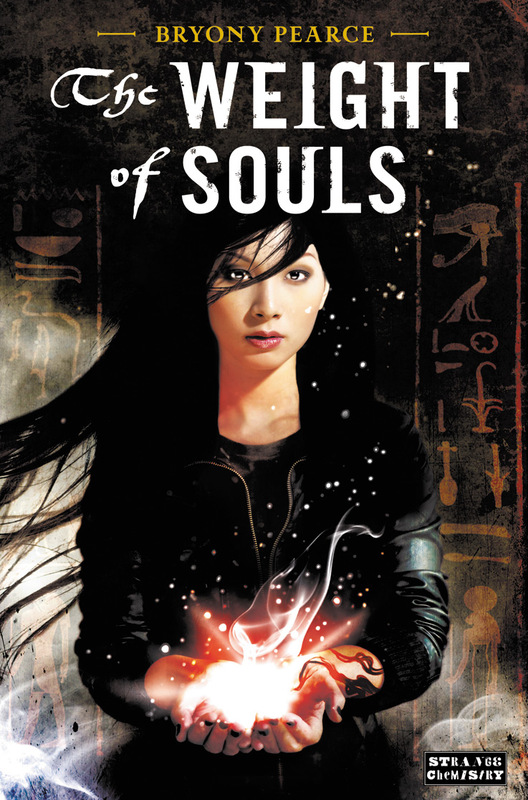 As the noose of sorcery tightens, the search for the teenagers becomes a race against time. But the greatest danger to Maddie and Jon could be the intense feelings they refuse to acknowledge but cannot ignore. The premise here reminds me of Angry Robot’s Collector novels, written by Chris F. Holm. I love those novels and I’m really looking forward to this one as well. The whole supernatural mystery angle here is very promising and since I’m increasingly reading more in the urban fantasy genre, I can’t wait to get to this one eventually. Of note is the cover which stays away from the horrible trope of showing off half-clothed protagonists in some really messed up poses. Kudos to the artist here! I love this cover. For decades, Transformers fans across the globe have marveled at the mighty clashes of Megatron and Optimus Prime, and speculated about their arrival on planet Earth. Now, in Transformers: Retribution, the prequel to the Transformers animated series, the epic odyssey of these two great warriors is finally revealed as Autobots and Decepticons battle one another . . . and the most diabolic foe they’ve ever encountered. Aboard the Ark, Optimus Prime leads his Autobots through deep space, searching for the AllSpark so vital to their home planet, Cybertron. Megatron’s not far behind, and his Decepticons are itching for war. But a mysterious planet conceals an enemy far more cunning and powerful: the Quintessons. Masters of tyranny, technology, and twisted double crosses, the Quintessons are out to enslave both Autobots and Decepticons. 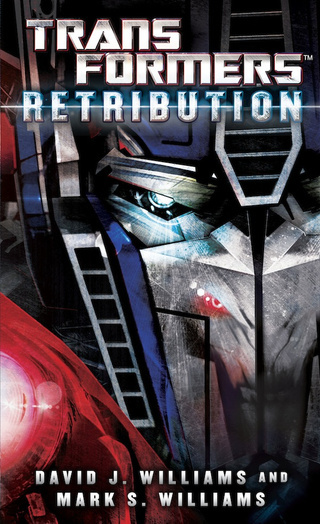 Their deadly bag of tricks includes time travel, fiendish trials, and a secret link all the way back to Cybertron, where Shockwave is wreaking havoc with supercomputer Vector Sigma. In the coming conflagration, Star Seekers, Wreckers, Alpha Trion, and Sharkticons all have their parts to play. For none can dodge the Quintesson juggernaut of evil, and none will escape the cataclysmic life-and-death battles that will catapult Autobots and Decepticons to Earth. The Transformers cartoons are some of my favourites (in most of their iterations) and the Transformers films are a guilty pleasure, so for me, its no surprise that I’d be looking forward to a full-length novel based on my favourite sentient robots from another planet. And the cover composition here is fantastic, especially with Megatron’s reflection in Optimus Prime’s faceplate. 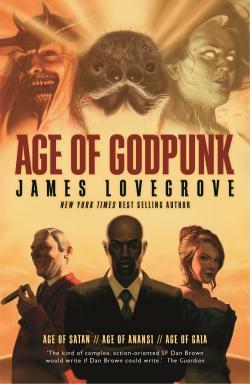 James lovegrove presents three novellas with three different ‘gods’ and their apprearance in the worlds of man. 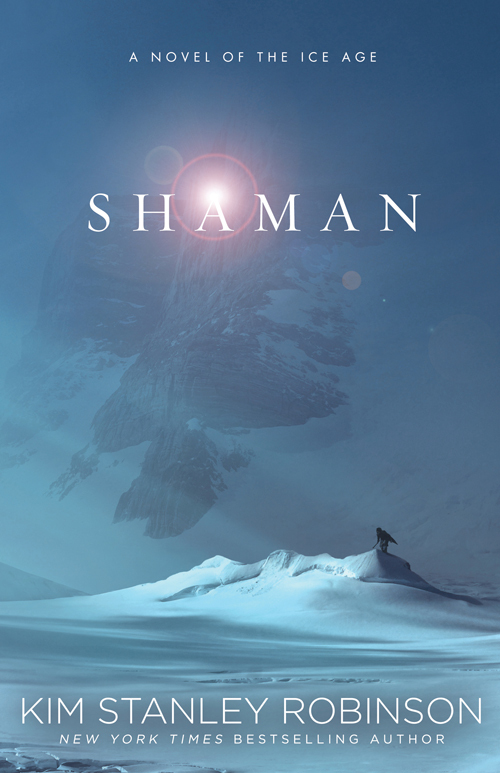 An original stand-alone novella in James Lovegrove’s best selling Patheon series. Dion Yeboah leads an orderly, disciplined life… until the day the spider appears. What looks like an ordinary arachnid turns out to be Anansi, the trickster god of African legend, and its arrival throws Dion’s existence into chaos. Dion’s already impressive legal brain is sharpened. He becomes nimbler-witted and more ruthless, able to manipulate and deceive like never before, both in and out of court. He has been transformed into Anansi’s avatar on earth. Then he discovers the price he has to pay for his new-found skills: he must travel to America and take part in a contest between avatars of all the other trickster gods. It’s a life-or-death battle of wits, full of skulduggery and double-cross. At the end, only one will be left standing. Billionaire Barnaby Pollard, energy industry magnate, thinks he has the world at his feet. the planet’s fossil fuel resources are his to exploit, as are the size-zero girlfriends he loves and leaves in swift succession. That’s until he meets lydia laidlaw, a beautiful and opinionated eco-journalist. She’s the very opposite of the kind of woman he normally dates: large and outspoken, with a firm belief that Mother Nature is not to be tampered with. It’s a strange kind of love, one that threatens to derail Barnaby’s wealth, his status and how the very world itself works. Appearing both in print and ebook for the first time with the release of this exciting omnibus. I’ve only read two of James Lovegrove’s Pantheon novels, Age of Aztec (review) which I loved and Age of Zeus which I didn’t like, but still, I love what he’s been doing with the “god” mythologies. The ideas are certainly interesting, and I’m really looking forward to giving Age of Godpunk a read soon, and also Age of Voodoo which deals with some African gods and has a badass cover. As with all the other covers in the series, this cover too is very appropriate for the material within and the take on these gods is just excellent, if covers are anything to judge by. Can’t wait! When physicist Robert Strong loses his job at the Dark Matter research lab and his relationship falls apart, he returns home to Scotland. then the dead start appearing to him, and Robert begins to question his own sanity. Mixing science, philosophy and espionage, Libby McGugan’s stunning debut is a thriller like no other. 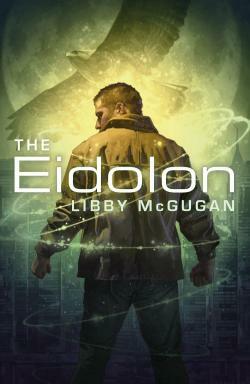 Mystery covers always, always draw me in and The Eidolon here certainly seems to be on top of things in that respect. Mixed in with a premise full of physics, ghosts, CERN and more, this book is definitely going on my must-buy-and-read list. I’ve had a fairly good experience with Solaris Books so far and The Eidolon looks promising enough to be another hit with me. Time shall tell! She is the unwanted spawn of a mad king and queen, her lands lost before her birth; her family—her very name—erased from history. Cursed by many, yet protected by an even greater curse. She was born on a night of storm and terror, raised in protected concealment, then banished from the only home she had ever known—an ancient enemy’s final stroke in a war begun centuries before. Secret studies of hidden lore reveal the truth of the prophecy that heralded her coming. Dark dreams teach lessons of war and duty, of strategy and magecraft, that she could not learn in a thousand lifetimes. She does not have a thousand lifetimes. She has just one—and time is running out. For the prophecy spoke not just of her, but of a great Darkness that would destroy the elven kingdoms. A Darkness that is coming ever closer. She is Vieliessar Farcarinon and she must save her people. Even if she must shatter custom and destroy the world she was born to rule. Finally something on the list that evokes some traditional, classical fantasy, with elves and prophecies and cool badass covers and apocalyptic wars. Sometimes, all you need is a bit of classicism to get yourself excited and pumped up for an upcoming release. 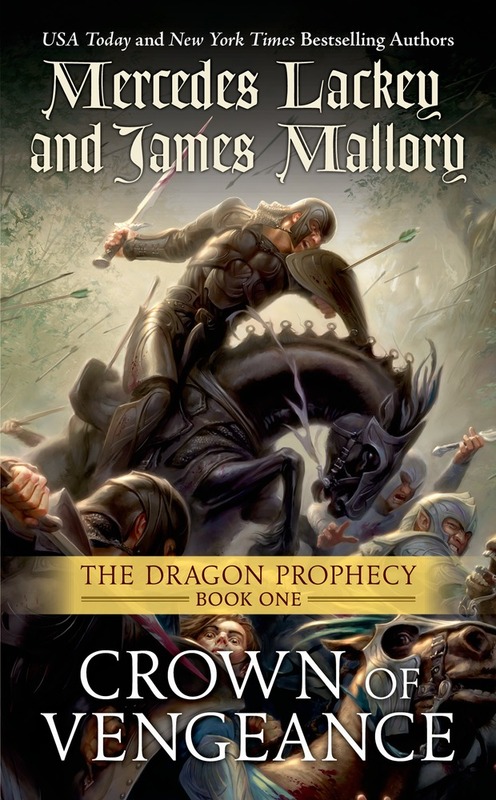 I definitely need to be reading a lot more of this kind of high fantasy, no doubt about that. 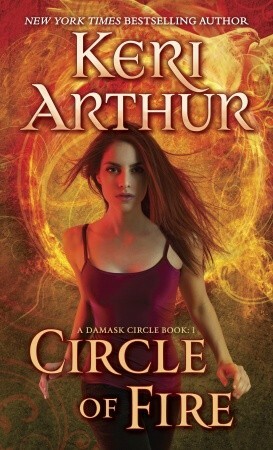 And in addition to being badass, the cover also shows off the protagonist as really heroic. Riley, a veteran of interstellar war, is one of many beings from many different worlds aboard a ship on a pilgrimage that spans the galaxy. However, he is not journeying to achieve transcendence, a vague mystical concept that has drawn everyone else on the ship to this journey into the unknown at the far edge of the galaxy. His mission is to find and kill the prophet who is reputed to help others transcend. While their ship speeds through space, the voyage is marred by violence and betrayal, making it clear that some of the ship’s passengers are not the spiritual seekers they claim to be. Like the pilgrims in Chaucer’s Canterbury Tales, a number of those on the starship share their unique stories. But as tensions rise, Riley realizes that the ship is less like the Canterbury Tales and more like a harrowing, deadly ship of fools. When he becomes friendly with a mysterious passenger named Asha, he thinks she’s someone he can trust. However, like so many others on the ship, Asha is more than she appears. 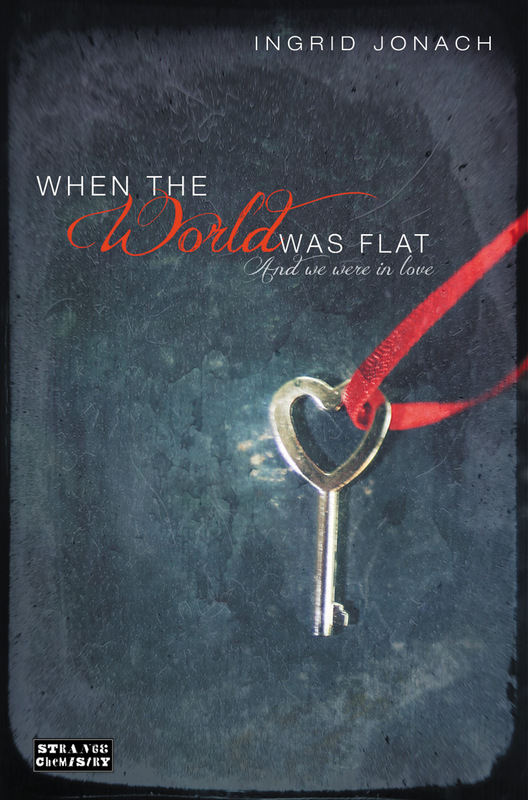 Uncovering her secrets could be the key to Riley’s personal quest, or make him question everything he thought he knew about Transcendentalism and his mission to stop it. 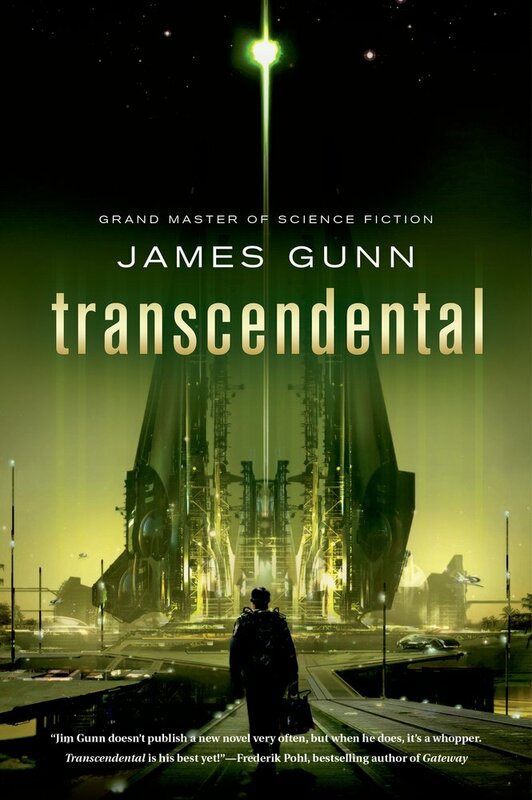 James Gunn’s Transcendental is a space adventure filled with excitement and intrigue that explores the nature of what unifies all beings. Just looking at that cover, the premise is irrelevant. For a book with such an amazing tableau that evokes the best of far future/space opera settings, I’d pick it up and read it in a heartbeat. Of course, it also helps that the premise is a really cool premise. The whole mystery angle, mixed in with the specific setting sounds very promising and I’m certainly looking forward to reading this book when it comes, or possibly sooner! Posted on August 4, 2013, in 2013 Reading Challenge, Book Lists, Book News, Challenges, News and tagged 2013 Reading Challenge, Age of Godpunk, Arcanum, Bantam Dell, Book Lists, Book News, Bryony Pearce, Challenges, Circle of Fire, Crown of Vengeance, David Gibbins, David J. Williams, Del Rey, Fortune's Pawn, Francis Knight, Ghosts, High Fantasy, Ingrid Jonach, James Gunn, james lovegrove, James Mallory, Joe Schrieber, Kate Locke, Keri Arthur, Kim Stanley Robinson, Last To Rise, Long Live The Queen, Lucas Books, magic, Mark S. Williams, Maul - Lockdown, Mercedes Lackey, Mystery, News, Orbit Books, Paradox, Pharaoh, Poltergeeks, Rachel Bach, Random House, Rojan Dizon, Rosie Best, Science Fiction, Sean Cummings, Shaman, Simon Morden, Solaris Books, Space Opera, Star Wars, Strange Chemistry, Student Bodies, The Dragon Prophecy, The Eidolon, The Immortal Empire, The Weight of Souls, Thriller, Tor Books, Transcendental, Transformers, Transformers - Retribution, Urban Fantasy, When The World Was Flat (And We Were In Love), Witches. Bookmark the permalink. 3 Comments.